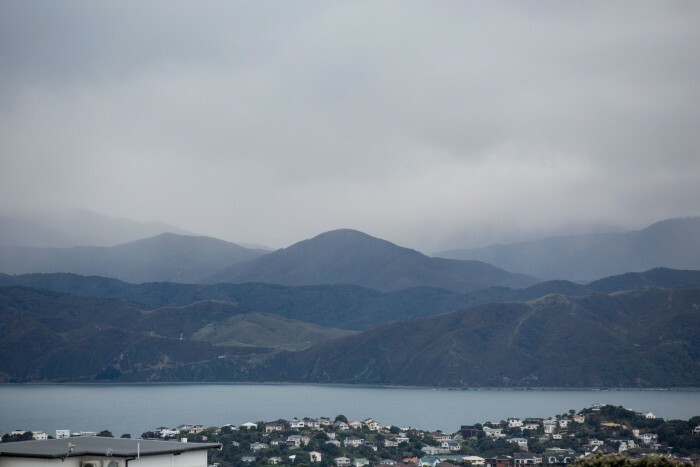 Being surrounded by ocean and mountains Wellington has a perfect balance between city life and easy access to the outdoors! I think if you ask anyone who lives there many will say that’s what keeps them there. One thing you can be certain about is that there are plenty things to do in and outside of Wellington, whether this is enjoying the bars, going hiking or searching for the local surf spots. Nomads hostel (website, address: 118/120 Wakefield St, Te Aro, Wellington 6011, New Zealand, +64 4-978 7800) is centrally located and pretty neat and tidy. When I was there they offered free unlimited pancakes in the morning for breakfast. I took advantage of that, so should you! YHA Wellington Backpackers (website, address: 292 Wakefield Street, Te Aro, Wellington 6011, New Zealand, +64 4-801 7280), I didn’t personally stay there but some travelers I met did and said it was great! Airbnb is my go to when i travel! I love it! I use it pretty much for 80% of my travel accommodation. When I book in advance it’s quite often cheap for the quality of where I get to stay or a similar price to hostel but can be a nicer experience. I get to meet the locals, which is always cool! I can learn the best places to eat, see and how to not do the classic tourist traps. If you pick well then I get some pretty quirky locations, stunning apartments with great views and unbelievably welcoming hosts! During my time in Wellington I spent the first 2 nights in the Nomads Hostel, then moved into a Airbnb up on Majoribanks Street. A small but cosy apartment that was about 10 minutes from the city center walking was perfectly situated. Where to Eat in Wellington? Cuba Street in Wellington, is a upbeat, hipster corner of the town. Whether you are looking for good coffee, food or to wander the shops it’s a great part of the town to wander through! Aramo cafe (facebook, address: 126 Cuba St, Te Aro, Wellington 6011, New Zealand, +64 4-385 1107), again on Cuba Street is just one of many nice spots for food or drink. I spent my mornings working in the cafe enjoying well priced but delicious breakfast. The Little Waffle Shop (website, 53 Courtenay Pl, Te Aro, Wellington 6011, New Zealand) is the spot for you then! They have the best toppings of fruits, homemade chocolate sauce and some really crazy Waffles on offer. The waffles are a little pricey at $8 NZD but are totally worth it, wait till it’s a cold winter afternoon and get one for a little warm up! Wellington has some good bars and nightlife, not quite Queenstown yet but pretty good! It’s known as the craft beer capital and for perfectly good reasons! I’m a craft beer lover and on my first night in Wellington I had enough time to find just round the corner from Nomads Hostel a spot called Fork and Brewer (website, 20 Bond St, Te Aro, Wellington 6011, New Zealand, +64 4-472 0033). I would strongly recommend you head up there for a drink or even some of their food. Zealandia is a 550 acres ecosanctuary that restores the Wellington valley’s forest and water ecosystems. So it’s a pretty cool project to support but also a really relaxed daytime activity whether you are a solo traveler interested in New Zealand’s diverse nature or a family visiting Wellington. What is There to Do in Zealandia? Enjoy wandering through the sanctuary on your own or even pay for a guided tour. I prefer to save money and just wander by myself or with friends. If you want to learn more about the sanctuary then a guide would be a plus! Try to spot and learn about the native bird life of New Zealand, reptiles and plant species. An adult ticket is $19.50 NZD and is valid for two days from first visit, so you can pick and choose how long you go for during the days. 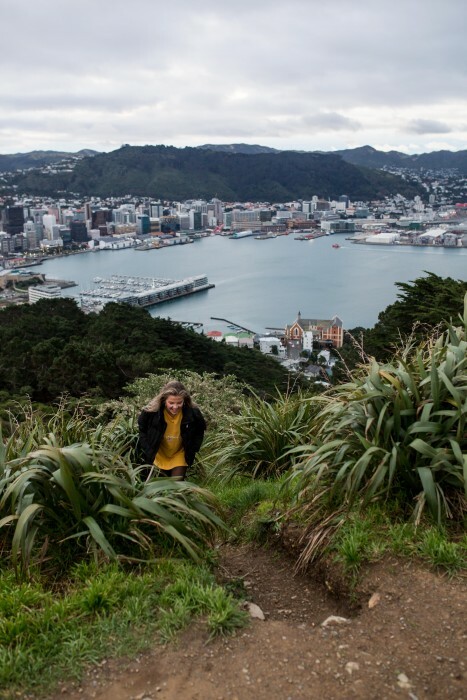 If you want an absolutely breathtaking panoramic view over the city, harbor and surrounding landscapes then it’s a must that you walk up to the lookout point on Mount Victoria. From the lookout you can see the Hutt Valley, Matiu and Somes Island and the Miramar Peninsula! 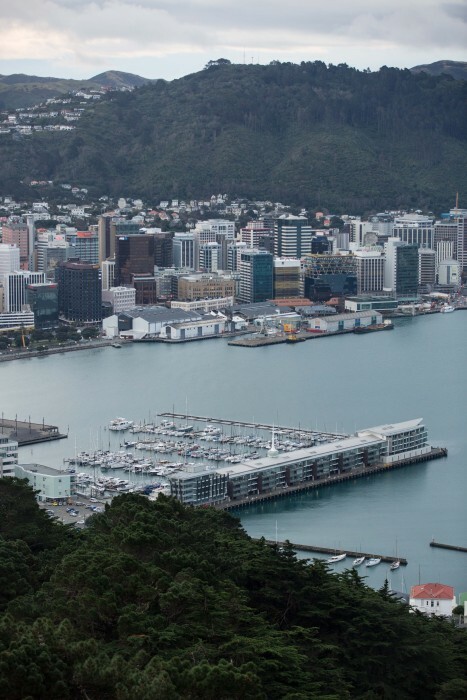 It is a stunning 360 degree view that allows you to grasp what Wellington is really like the big business and city center hub with the smaller suburbs. It’s the perfect place to watch the sunset or sunrise, grab a picnic or a flask of coffee and head up to enjoy the views when no one else is there. What I always love to do wherever that I travel is watching the city lights twinkle on at dawn. It is so peaceful and you feel refreshed as it is early morning but you’ve already done one great thing that morning! The World’s Famous Museum of Te Papa Tongarewa (website, address: 55 Cable St, Te Aro, Wellington 6011, New Zealand, +64 4-381 7000) is in Wellington! Why is this museum so great? First, it’s FREE! And for travelers tight on money this is a huge bonus. Second, it’s in a stunning place located on Wellington’s breathtaking waterfront. Last but most definitely not least it is one of the best places to learn about New Zealand’s natural environment, geology, and the indigenous people called the Maori tribe. For me New Zealand’s diverse landscapes have my heart captured as the lush forests and alpine environments so close together leads to a very unique ecosystem. It is truly environment I was blown away by. The plant species, birds and terrain are so diverse so why not learn more about it. By far the historic cable car, one of the best ways to see the city, journey is a gem! It takes you across the city from Lambton Quay to the Kelburn suburb. 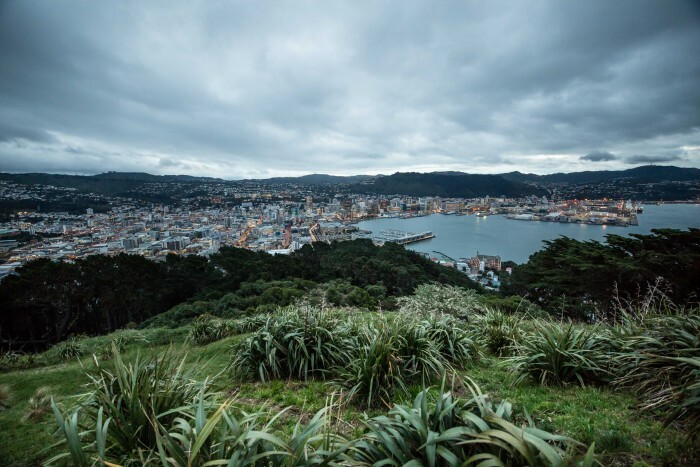 The cable car will show you some of the best views of both the natural beauty that is in Wellington such as its parks but also the business cityscapes of the capital. It is a super easy activity to hop on, and they depart every 10 minutes so even if you are only in Wellington for a short period of time, you have every reason to get onto it. Explore the central city with stunning views! The modern waterfront is a hub for good cafes and restaurants so you can make the most of it for a morning coffee or evening meal. Every Saturday, the park hosts a market so it is a great way to get a feel for the atmosphere in Wellington! I love local markets as I can learn and see what the daily lifestyle is like. The people at them are always friendly so I love talking with them rather than just looking around like a tourist. It is time to leave the city so I am going to take you on a adventure. Whilst I was in Wellington I met up with a fellow adventure photographer Sam David Smith (@samdavidsmith). 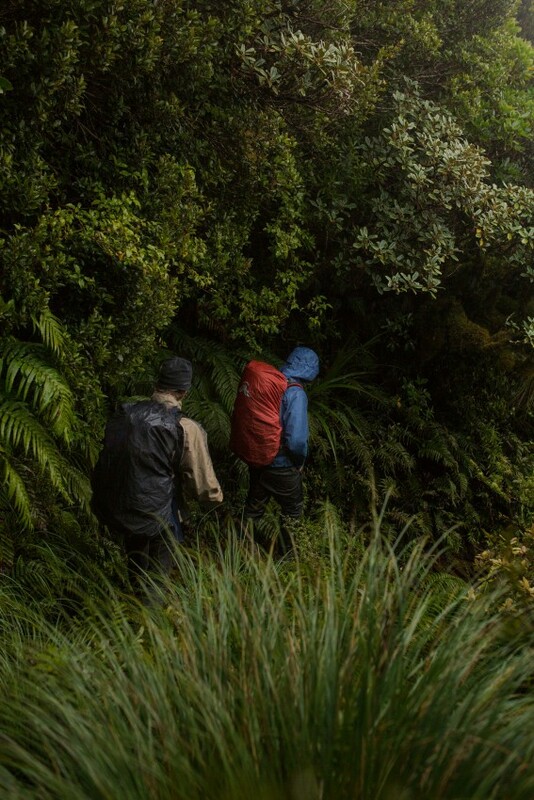 If you want to go hiking while you stay in Wellington then look no further than the Egmont National Park (website) and the solo peak of Mount Taranaki. I left Wellington, along with Sam and his buddy Jonah. Drive from Wellington to the Egmont National Park took around 4 hours. It was an easy blast down motorways most of the way. 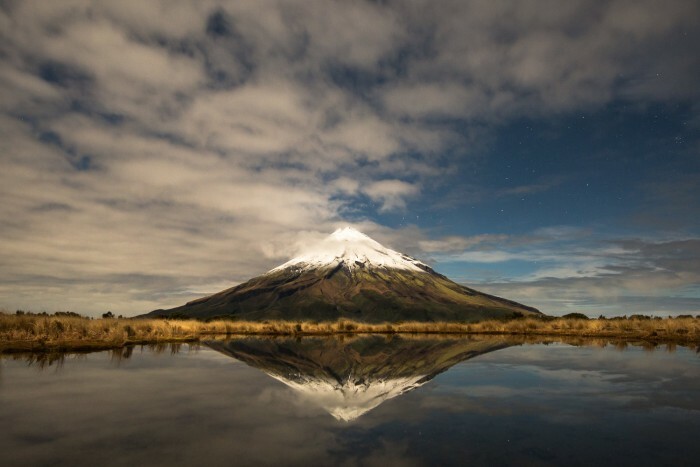 Our aim that night was to hike to the Pouakai Hut that sits at a lower elevation than Mt Taranaki itself, near the lower lake. You can park your car at the base of the National Park, the hike is around 3 hours to the Pouakai Hut (Mangorei Track, Egmont National Park 4391, New Zealand) and the trail is very well marked. Leaving the car late we started hiking the trail in the dark. The weather forecast we had was showing a incoming storm that night so we had our fingers crossed hoping we could avoid it. It was late when we eventually stumbled up the hut, found an empty room with some bunk beds and laid out our sleeping bags before heading off to the lake to see Mount Taranaki. Staying at the Pouakai hut costs around $15 NZD, and you have pay in advance at the Department of Conservation (DOC) offices. Generally these are in the major cities or mountain villages, if you can’t find one ask the local tourist info point: they will be able to direct you. From my experience I know there is at least one office each both in Wellington and Queenstown. The Department of Conservation run all the huts across New Zealand and there are plenty of huts that you should definitely make the most of if you are keen hiker. If you are planning to head off on some hiking adventures then make sure you have a map! Insider tip: the Topo50 maps are the one to go to if you are planning some trips, they are used by the Emergency Services of New Zealand and have the best details of tracks, glaciers and terrain! I love learning maps and finding hidden spots and the Topo50 were great for finding them. I loved them! You don’t have to carry a tent up meaning your hiking pack is lighter. 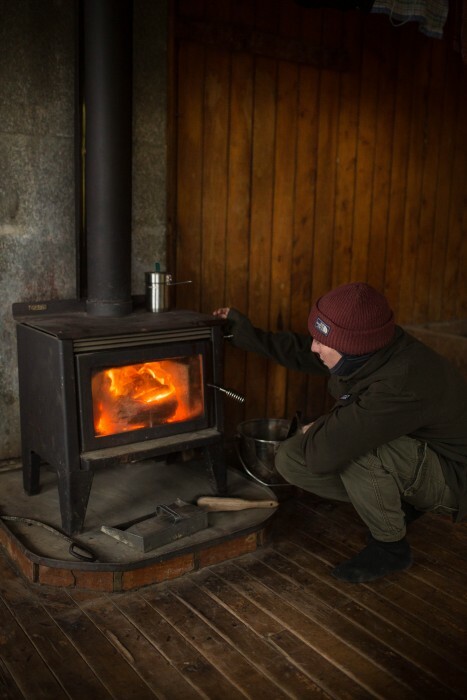 It’s a great way to meet locals and travelers who are like minded, enjoy great conversation and probably have a drink around a fire. 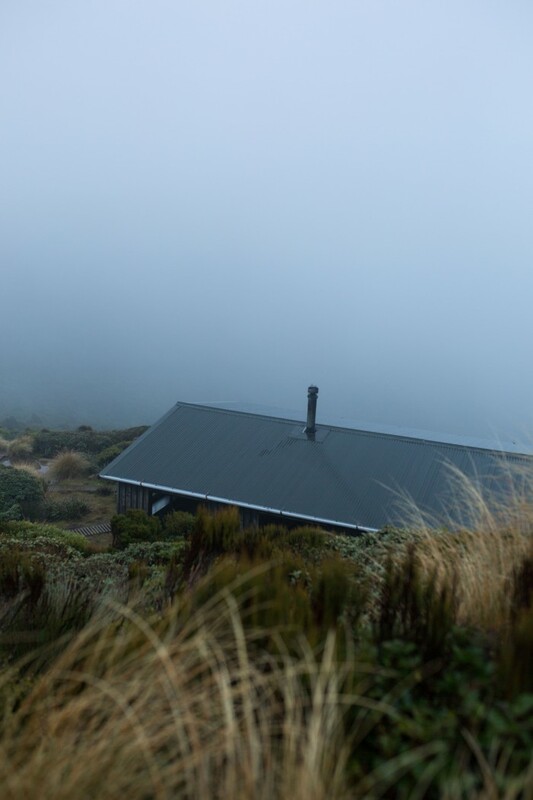 The huts are pretty much situated in the most beautiful locations across the country whether it is one on the lower slopes of Mt Taranaki or, for example, the Mueller Hut in the South Island that overlooks Mount Cook. The Pouakai Hut is basic, it has got a toilet and running drinking water but you will need a stove to cook on and your sleeping bag. There are bunk beds provided with mattresses but bring a sleeping bag especially in winter. They have a firewood supply, but in summer it may be low or empty, in low tourist season it will be more likely full. I love staying in huts during my hiking trips. It feels authentic and like a true adventure. My favorite thing about them is being able to look through the hut book of who has stayed there and what messages they might have left. As I read them I feel like I get to experience all those trips to the mountains along with mine! “After a short 30 minute hike from the hut we made it to the lower lake and saw the peak in beautiful conditions, snowcapped, vibrant and not to many clouds. As photographers we took out our tripods and cameras and attempted to capture the moment perfectly. It was cold and after around 40 minutes we headed back to the hut and crawled into our sleeping bags to catch some shut eye. 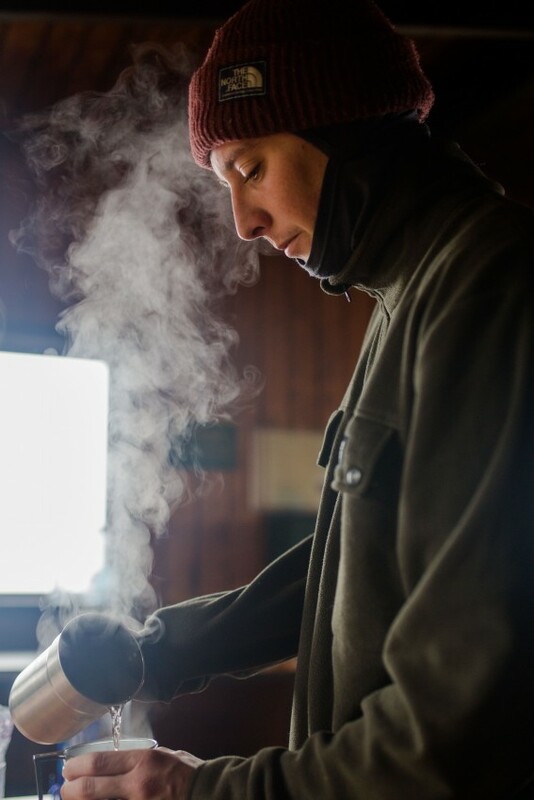 We woke up at 5am for sunrise, but there was nothing to see, just thick mist engulfing the hut. That storm from the night before had hit. It was chucking it down with rain. When we then emerged from our sleeping bags at around 7am it was still raining. These sorts of trips are for people who love nature, hiking and peaceful talk with good friends. For a good 2 hours the 3 of us sat round the fireplace chatting and eating breakfast. If you want to get into hiking or are already passionate about hiking then this walk is ideal. It is a good path and has stunning scenery with in reality pretty easy access. However, don’t do what we did and take a gamble with the incoming weather forecast we had unless you are a experienced hiker. Maybe choose a day with a little better weather. When we got back down to New Plymouth it turned out this storm was one of the biggest the region had experienced in a few years. It flooded the town’s streets. This hike is also completely doable in a single day if you don’t want to sleep in the hut. It’s a long day but it is a option. Leave Wellington early morning, avoid the traffic. In summer you’ll have more time with longer daylight hours, so maybe watch the sunset and hike down at dusk. But whether you hike it in summer or winter bring a torch as the forests are super dark at night as they are pretty dense. Drive back to Wellington arriving back late that evening. Wellington was our last stopover in the North Island, there are ferries that cross over to Picton. The ferries allow both vehicle passengers and those of you nomadic backpackers on foot! But as I was travelling with Kiwi Experience they organized the ferry crossing for me and I only had to pay $50. Now I’m heading down the East coast of New Zealand’s South island until I arrive at the Mt Cook National park, which is where the next article takes place in the small mountain town of Franz Josef!